Nintendo Direct: Super Smash Bros. Special Breakdown! 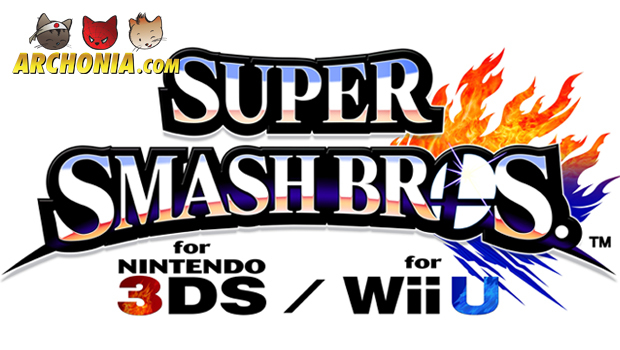 In Summer and Winter 2014 the new Super Smash Bros. will hit the shelves. Gamers be prepared for new Mayhem, destruction and tactics! Nintendo presents to you the new Super Smash Bros. Even though we have to wait for a few month it seems to be worth it. 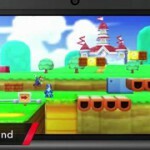 This Summer the Nintendo 3DS version will arrive, a few month later in the winter of 2014 the Wii U version will follow. In order to inform us, and probably also advertise, Nintendo released a special Nintendo Direct with focus on the new Super Smash Bros. In this Breakdown we are going to check the differences and the new goodies Nintendo has for us. According to Nintendo most elements of the 3DS version will run on 60 FPS, which also applies for stereoscopic 3D. 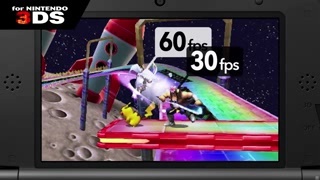 The Assist Trophies and Pokemon however, will run on 30 FPS. The Fighters will still run on 60 FPS which will make the fighting still smooth. For both consoles the Fighter Line-Up will be the same. The Stages however, will differ. Most stages are console exclusives. 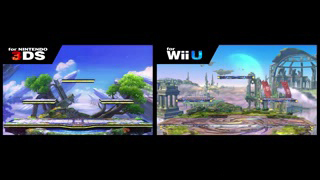 So some stages that appear on 3DS will not appear on the Wii U and vice versa. That said, there will be some stages which both consoles share. But these stages will completely differ in design. Another big difference between the console versions is the music. 3DS will feature 2 musical pieces per stage, while the Wii U feature music from all sorts of game series. Nintendo also made a connection between the 3DS and the Wii U versions, however more information about that has not yet been released. Some very familiar stages will return but may appear as console exclusive stages. One thing they will have in common. there is a lot of background elements and interaction with the stages on both consoles. One example is the obstructions formed on stages such as the Megaman stage. This brings new tactics to the game. Also, every stage has a Final Destination version. This means no elevated areas or platforms, and also no music. Similar to Brawl, both Wii U and 3DS (New feature!) will feature online play. There are some changes however. There is no Anonymous play anymore, online play will be linked to your Nintendo Network ID. There are no rankings anymore, and matchmaking will be done through the new “Ranking” system called Global Smash Power. This ranking is based on skill through the solo mode scores. While playing online you will be matched with similar skilled people. When you play with friends you can adjust the rules to your own liking. 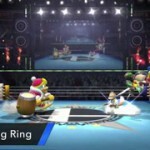 One very big change in online play are the “For Fun” and “For Glory” modes. The For Fun mode gives you random stages without a final destination. Also, it features all items and contain Smash battles only. Lucky for those who are not that good in SmaBra: only wins will be recorded in this mode! This is the mode for gamers who want to prove themselfs. It means raw action on final destination stages only. There are no items, so it all depends on skill. In Glory mode you can also choose 1 on 1 battles for more action. This mode will record your wins and your losses. There are a few new elements in the new SmaBra. There are some new Assist Trophies such as Skull Kid and Ashley. Also, a lot of new items will appear, such as Rocket Belt and Hocotate Launcer. Most old items seems to have new (amazing) looks. </dd></dl><p><br style="clear: both"></br></p></div>The games now also feature the Masterball which summons (new) legendary Pokemon. Which also brings us to Charizard. He no longer is part of the Pokemon trainer and seems to be a single playable character now….bring on the fire Charizard! While fighting with friends or solo you can create your own customized moves to suprise your opponents. A very big change in the new version of the returning fighters is that they will not change form anymore mid-fight. Fighter who did change such as Samus and Zelda and their counterparts will now be single playable characters such as Samus and Zero Suit Samus already were. 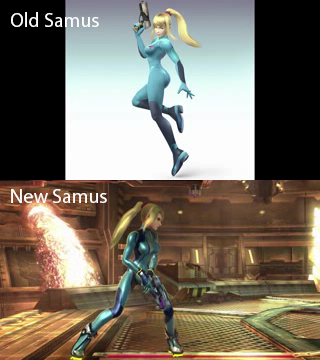 This also brings us to the new looks of Samus. She has a new look, which we think might be a glimpse of the new upcoming Metroid game…don’t you think? Some veteran characters now feature new moves to create unique weak and strong points. Pit for example has no gliding move anymore, instead he features a new final (super strong) smash. Also Kirby features a new final smash which seems very strong. Yoshi also returns to the game, however he is a bit different. Instead of walking like a dinosaur he stands up tall now, which is more coherent with his recent designs. Besides the veteran fighters, new fighters also appeared. Rosalina and Luma will add a new dimension to dual characters. Luma can be send away as attack and when seperated Luma can mirror Rosalina’s attacks. Also while separated both characters can do their fighting on their own. With Little Mac, Nintendo gives the player a very strong ground character. He is very weak in the air and his return move is really useless. However, instead of that Little Mac has been given an one-hit K.O. punch, so keep an eye the meter at the bottom of your screen! Another very nice feature of Little Mac is his Wire-frame Mac skin which was available for the 90′s arcade game Punch-Out. Megaman will feature moves based on enemies of the Megaman games. Even though people thought it was a joke at first, the Wii Fit Trainers are really playable characters. Both male as female trainers are available, they have the same height and strength. With their Deep Breathing move they make their attacks stronger. Animal Crossing’s the Villager also makes an appearance. He (or she?) 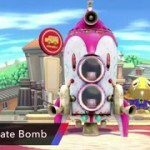 will use AC based items as attacks and counter attacks, so be aware since we did see the entire Nook family appear! Also there is another new character however to see him you will have to watch the entire Nintendo Direct: Super Smash Bros. Special until the end. There is one unique aspect for the 3DS and it is called Smash Run. It is a battle game for up to 4 players. This mode actually consists of two stages. In the first stage players will run through a dungeon like area in search of power-ups for Speed, Jump, Attack, Special Arms and Defense. While battling Subspace enemies and enemies from other franchises the players will have a 5 minute limit to this dungeon run. After the 5 minutes the second stage starts: an up to 4 player show down with the collected power-ups! So a lot of new things will appear in the upcoming Super Smash Bros. Nintendo makes it interesting for everyone. They added game play for newbies and for the veteran gamers. We are excited for the game, are you? Discuss this Nintendo Direct on our Facebook Page!